“I can’t do this”. Hogwash. “I am not good enough”. 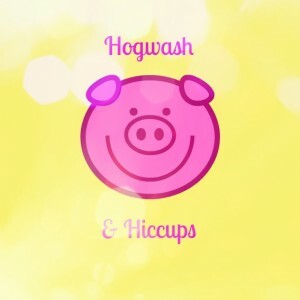 Hogwash. “Every one else is better, prettier, smarter, more awesome than me”. hog·wash (hôg wôsh , -w sh, h g -)n.
Worthless, false, or ridiculous speech or writing; nonsense. Garbage fed to hogs; swill. That is right, when you say you can’t, aren’t good enough, everyone else is better, prettier, smarter and more awesome…it is nonsense. Now my fearless and courageous ‘i am’ girl… Go out and prove that you can. Because you can. I know you can. Please know that you are good enough, the best (it is you and that doesn’t get any better) in fact, oh so lovely, smart, and undeniably awesome. And when in doubt, it is always a good idea to go for #2 and feed your garbage/swill to hogs whenever possible. They eat everything and that is some smart recycling + good for our earth. As far as the hiccups, well you wouldn’t know this but I had them while I wrote this, what a bother. They are gone now.